Aside from poor performance and high energy costs, many potential dangers can result from improper water heater installation. That’s why choosing the right plumber can make all the difference. If you need a new water heater, turn to MasPro Service to handle the job from start to finish. There are several signs that could indicate your water heater may be failing. Do you see water buildup in or around your water heater, do you have water quality issues, or a loss in the temperature or supply of hot water. Is your water rusty colored or is a rusty aroma coming out of your faucet when you turn on the hot water, it could indicate a problem. A water heater inspection can help determine whether or not you need to install a new water heater. 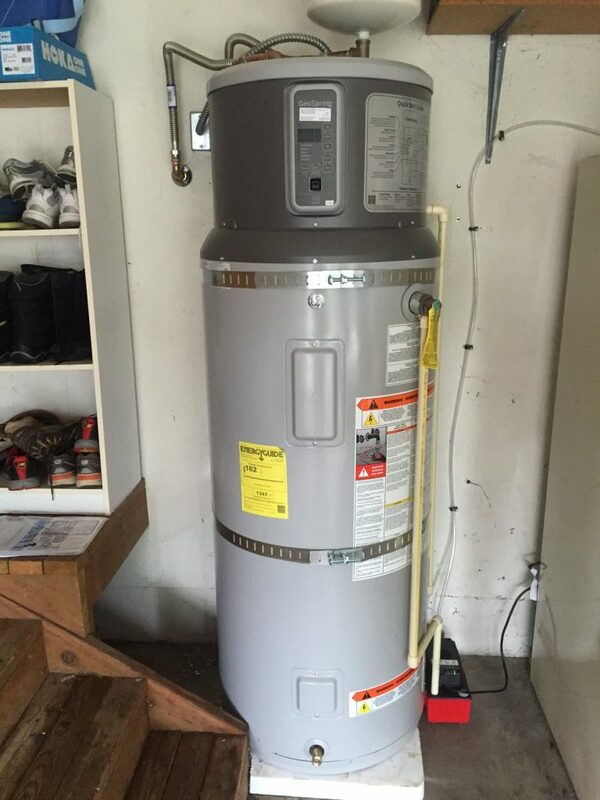 At MasPro Service, our goal is to install your new water heater in a seamless, efficient fashion. We offer a wide selection of makes and models, and we’re happy to help you choose the option to best suit your space and your needs. When you hire us for water heater installation in Vancouver Washington, you’ll benefit from our courteous, professional plumbing contractors and reasonable rates. And we’ll go out of our way to complete our work quickly without leaving a mess behind. When you need water heater installation, MasPro Service is the team to trust. Call us today to schedule an appointment and discuss your options. If you are experiencing water heater issues and are looking for a water heater installer in Clark or Cowlitz Counties give us a call.